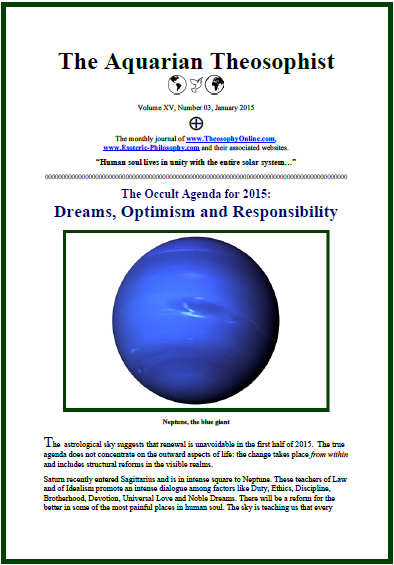 The article “The Occult Agenda for 2015: Dreams, Optimism and Responsibility” is on pp. 1-2. 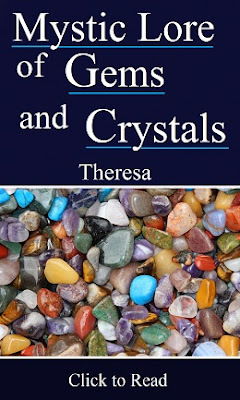 On p. 2, the note “The Power of the Humble”. 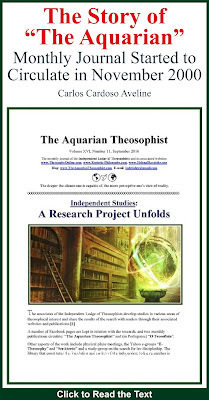 Then we have the note “Strengthening the Love for Truth, The Next Step for Some Theosophical Institutions”. Page four brings “The Occult War: Our Minds as Disputed Territory”, and p. 5 presents “The Symbolism of Saturn’s Hexagon”. 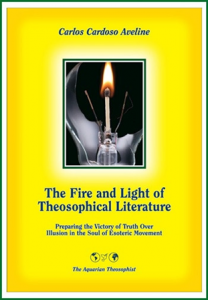 “Peace as a Creative Movement” is on p. 6, and “Finding the Light on the Path” on pp. 7-14. The 20 pp. edition concludes with the List of New Texts in our websites.